ChyronHego has acquired Sound & Video Creations Inc., a leading developer of digital content management and delivery solutions for sports stadium presentations and broadcasts. Based in Nashville, Tenn., Sound & Video Creations is well-known for its Click Effects family of products for live A/V entertainment production, including CrossFire, Blaze, BackDraft and ProAudio. “With sports fans paying a premium for tickets to live sports events, there is demand and an expectation for an ever more sophisticated A/V experience once inside the stadium. As a result, solutions for streamlining in-arena productions represent a growth market and an outstanding opportunity for ChyronHego,” said Johan Apel, president and CEO, ChyronHego, in a joint statement issued by the two companies. Click Effects systems have been deployed by hundreds of colleges and universities, by over 75% of Major and Minor League baseball teams, and by nearly 65 percent of professional football, basketball and hockey teams. 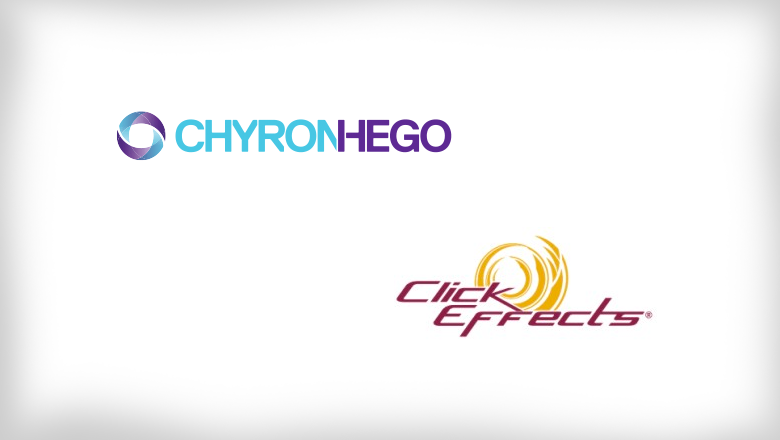 “Our integration with ChyronHego is an important milestone and an exciting development for our company as well as our customers,” said Cliff Wight, president, Sound & Video Creations Inc., in the statement.